Some knitters see ripping back their knitting as a sign of defeat, but sometimes it really is the best answer and reknitting a number of rows will take less time and cause you less grief than trying to fix a problem another way. On other occasions there may be a quick fix that means the rest of your stitches can stay on your needles. 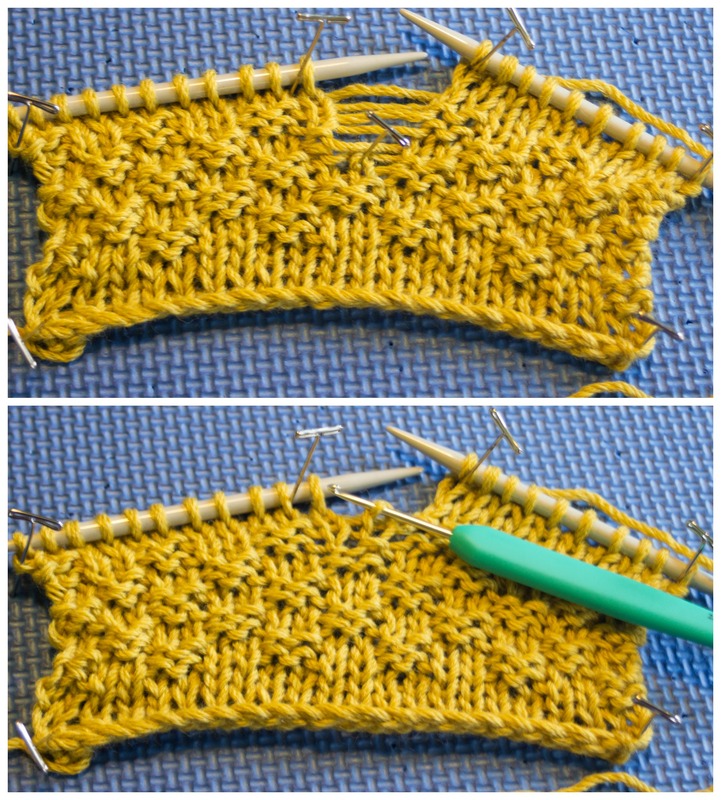 If you spot the dropped stitch within a reasonable amount of rows you can pick it up with a crochet hook and repair your knitting without ripping back – click here to see more. 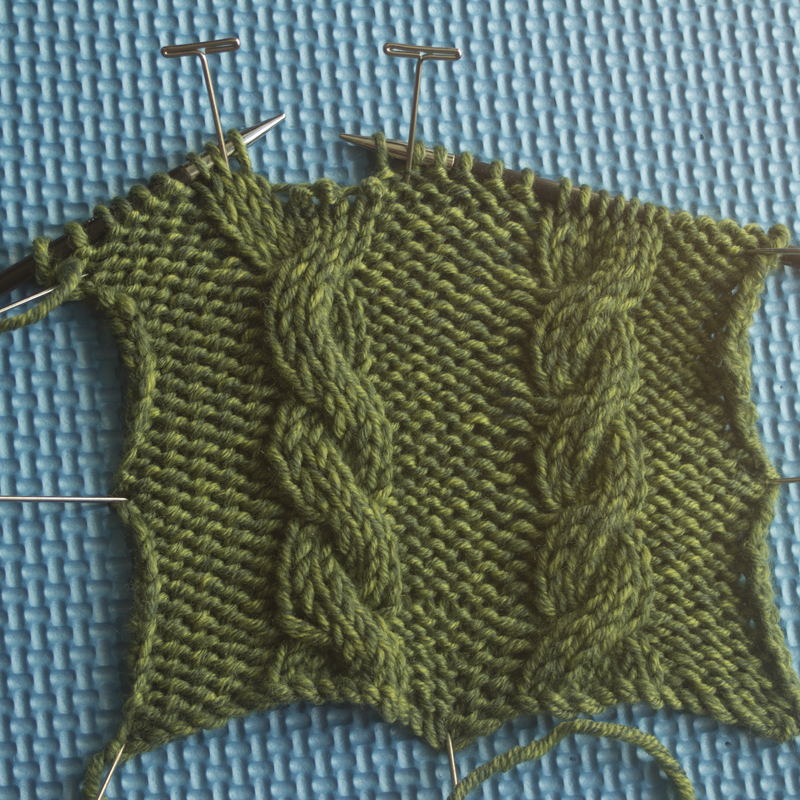 On the other hand if you have created an extra stitch due to a stray yarnover, it is better to rip back because any other fixes will leave you with a hole or a ladder in your knitting. 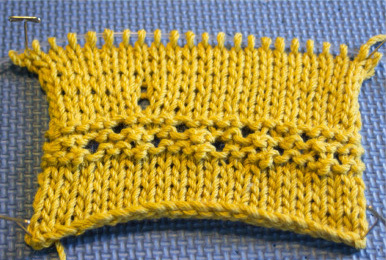 If it is just a few rows since the cable error, you can fix it by dropping down some stitches – click here for the technique . But if it is further down a column of cables it may be simpler to rip back. The same principles apply for lace patterns. If it is a small mistake involving just a few stitches on a recent row it is possible to drop those stitches down and rework them. But if it is a large problem involving a number of pattern repeats it is better to rip back. This is why lifelines are such a useful option when taking on a lace pattern. There’s only one answer here. If your tension is incorrect, start again if you want your item to come out the right size. Why persevere with something that won’t fit? And finally if your colour combinations, yarn choice or just the over all design isn’t working for you. Stop, rip it out and find a new use for that yarn. It’s very odd, but I find it much easier to frog crochet than knitting… I seem to have a real mental block about ripping back knitting. I wonder why. I just ripped back a sleeveless pullover that I was knitting for myself. I had completed the back and 7/8’s of the front and, I just didn’t like it. My wife was horrified. I had to wait until she was out for the day and do it then. Didn’t bother me in the slightest. Just got to find a project to use the yarn for! I think the snail of happiness prefers frogging crochet to knitting is because knitting can require you to pick up many stitches while crochet only one little chain!!!!!! That’s why I prefer crochet.